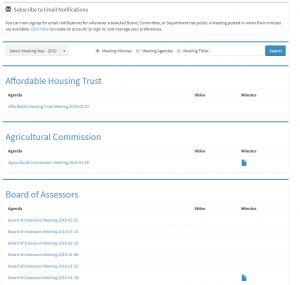 The Town of Groton uses a custom website backend to manage our Meetings & Agendas. You can browse and search agendas & meetings by opening our Public Meeting tool below. You can also subscribe to updates there as well.